01182013_Becherer_IraqMedical015: Doctors of War: Casualties of War: Global News Portfolio: New Orleans based Photojournalist covering the Deep South and beyond. Wounded are transported from the Contingency Aeromedical Staging Facility (CASF) at Baled Air Base to a bus which will transport them to a C-17 aircraft that will take them on a 5-hour flight to Germany. 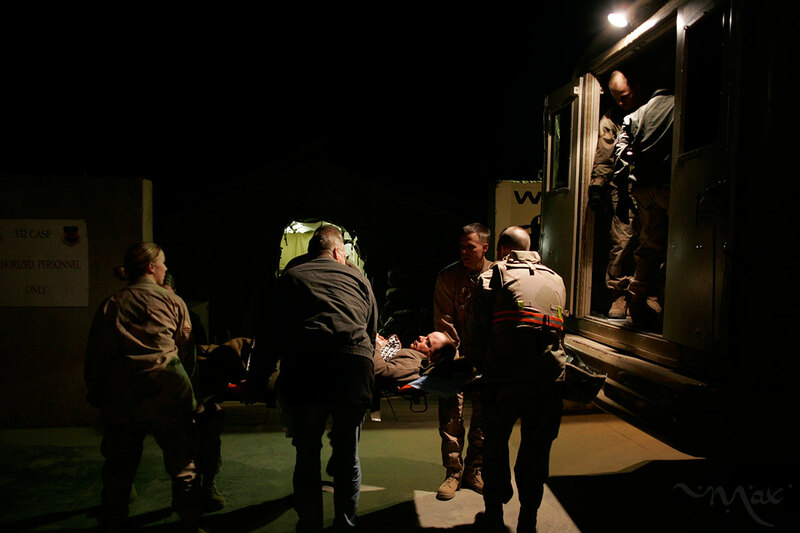 The CASF manages the movement of the full range of injured soldiers who have to be transported out of Iraq for care.